We inform you that the data you provide in quality of sender, by filling in the electronic fields identified above, will be processed by Libera adv, as Data Controller, pursuant to art. 13 of the Code regarding the protection of personal data. Your data will be processed by electronic means in compliance with the principles established by the Privacy Code Legislative Decree 196/2003. For information on the methods of treatment, and to exercise the rights recognized by Article 7 of the Privacy Code, you can contact the owner of Libera adv. In any case, he may subsequently request the deletion of your data by contacting the Data Controller or the Data Processor. Moreover, Libera adv informs you that it will make the e-mail address you provide available, only for those companies with characteristics that guarantee the truthfulness of the published data. The Galbiati Group recently built a large pinion stand drive as part of a revamp carried out on an existing hot rolling mill at Mariupol, Ukraine. The engineering process was undertaken by the Galbiati Group in collaboration with Primetals Linz, whilst the pinion stand drive was purchased directly by Metinvest Engineering LLC, Dnipropetrovsk, Ukraine. 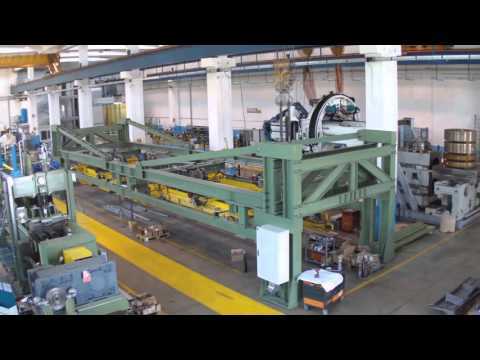 Galbiati Group’s supply contract covered the engineering and manufaturing of a large pinion stand drive for a hot rolling mill, equipped with 1 x 7000 kW motor, a single horizontal input shaft and twin output shafts. The gears and shafts consist of double helical pinions made of 18CrNiMo7-6 steel, hardened, casehardened and ground to meet the standards of DIN 3961 grade 6. Gear teeth undergo profile correction to optimize power transmission and contact between mating surfaces of the gear pair. In addition, the pinion shafts are fitted with ring seals designed to prevent wear. The housing of the pinion stand drive is an electrically welded and stress-relieved structure made of S355J2 carbon steel. It also incorporates generously proportioned inspection windows and an air breather for the levelling of machined surfaces. The pinion stand drive is fitted with high quality roller bearings mounted in metal cages ideally suited to the specified speeds of rotation. All machined parts of the pinion stand drive are treated with Tectyl to guard against corrosion, and guaranteed fully waterproof. The unit is suitably protected and packed in a wooden crate ready for shipment by sea. Individual components of pinion stand drive are inspected to determine wear and deformation. Non-destructive tests, are conducted by skilled and experienced technicians, using high-precision instruments and a ZEISS MMZ-G 30 60 25 three dimension measuring machine. Once completed the pinion stand drive, a full-speed running test is performed. Temperatures, noise levels, and vibrations are continuously measured and properly recorded. A “Certification File” is issued for each drive, which contains the materials and inspection certificates as well as all intermediate and final inspection drive report. 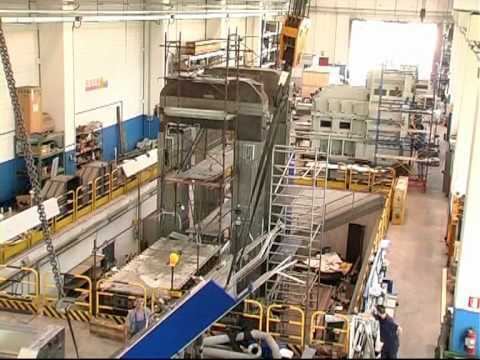 Galbiati Group has extensive experience in the design, manufacturing and revamping of: mechanical transmissions for steel industry (hot and cold rolling mill), large Edger drives, pinion stands and twin drives for mill stands, main drives for shears, tilting converters drives, coilers and uncoilers.